If you love the warmth of rustic wood, you'll adore this reclaimed wood laundry room folding table made from old fencing! 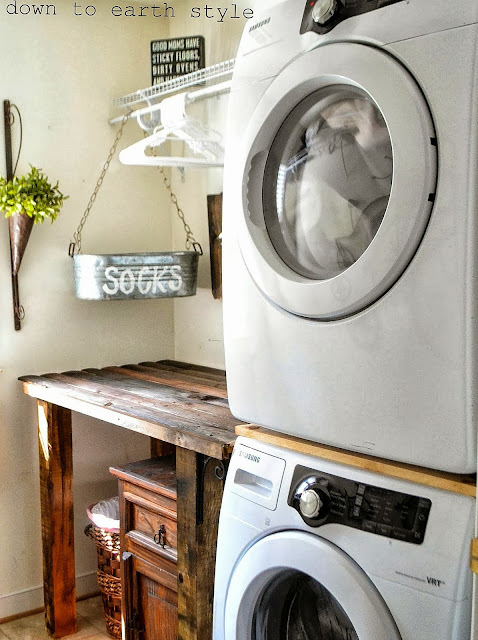 Holly desired a folding area in her laundry room, but with little room, she decided to get her washer and dryer stacked to free up the needed space. Gathering up some old fencing wood, she built this gorgeous table! An end table was slipped underneath to store dryer sheets, bleach and other laundry room necessities. For those that LOVE a good rustic, warm touch to a room, this is a great idea! 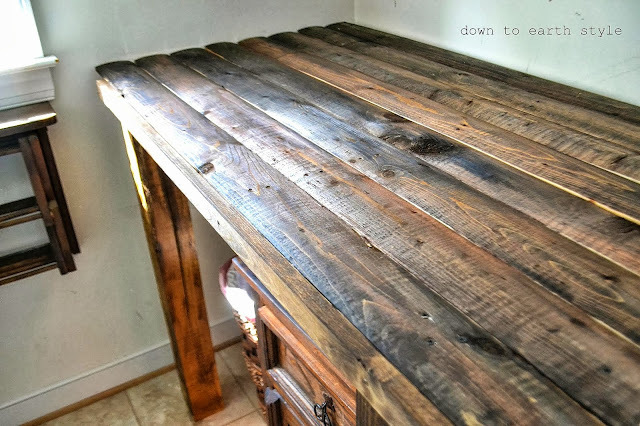 Reclaimed wood is authentic and is so adaptable, making a custom build in a tight area easy. WIN. Holly is amazing!!! Love this!! !